Irwin Allen cast members re-unite in Tampa this weekend! All new in 1/24th scale! Complete interior with an opening door. 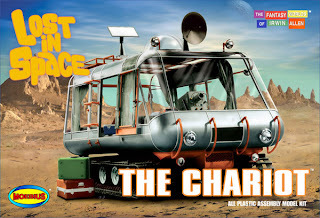 Perfect compliment to the Lost in Space® Chariot kit! Available in May 2008. 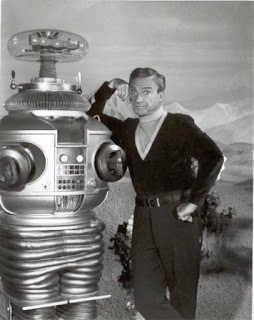 Lost in Space® is ©2007 Space Productions. All Rights Reserved. 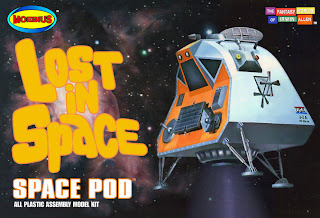 Lost in Space® and it's indicia, characters and designs, are regustered trademarks of Space Productions. Licensed by Synthesis Entertainment. The Fantasy Worlds of Irwin Allen® is a registered trademark of Synthesis Entertainment. All new in 1/24th scale! Kit includes complete detailed interior, opening doors, individual wheels, and one piece tracks. 1/24th scale B-9 Robot included! Available in March 2008. My first LIS Memories Blog. I thought I would try something different and decided to start a blog for my LIS Memories website. Here I will post current news and all happenings in the world of LIS along with updates that I have done to the LIS Memories website.